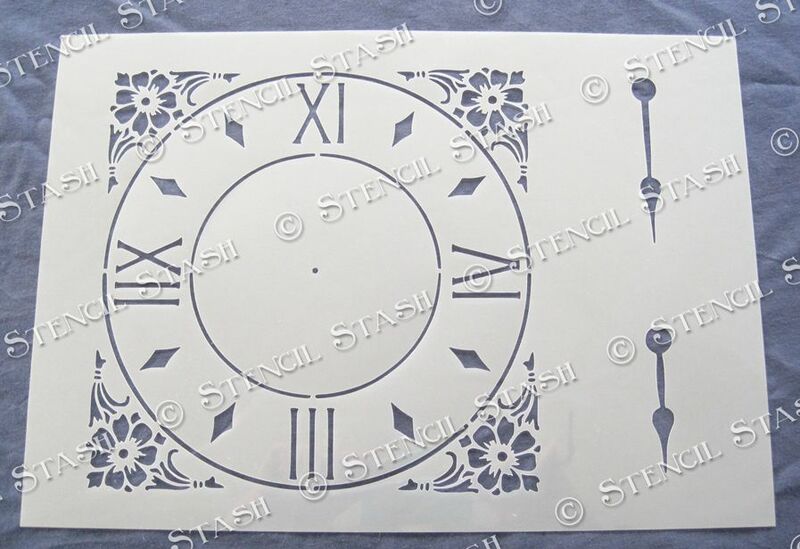 Size A4 210 x 297mm, 8x11.5" A3 297 x 420mm, 11.5x16.5"
A traditional clock face stencil with hands. 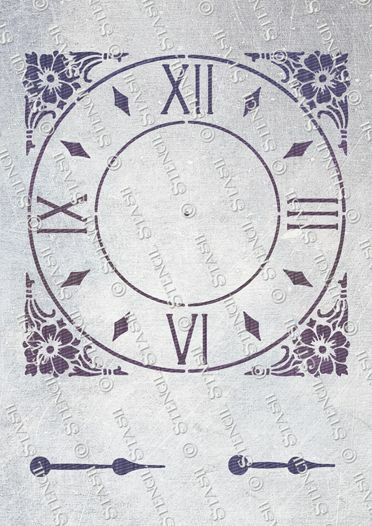 Paint one or make a real one! 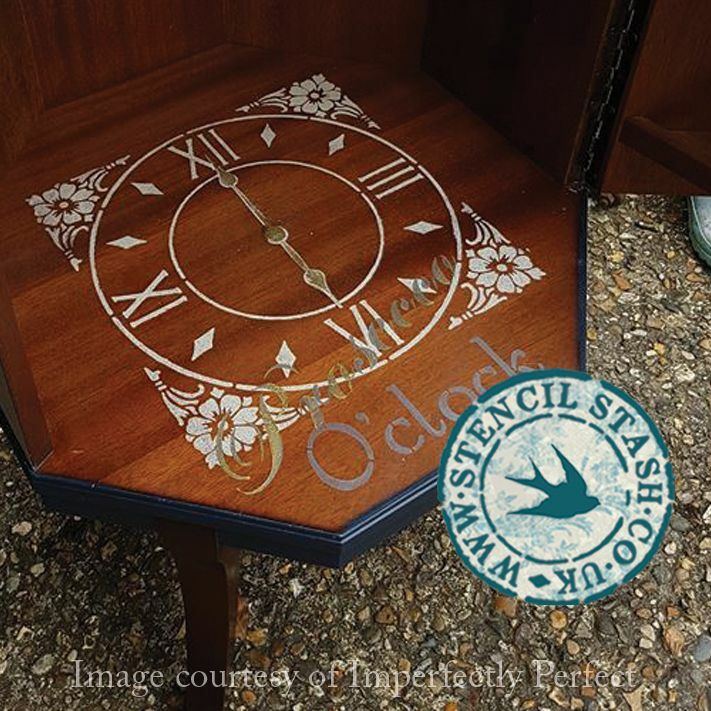 Perfect for furniture, crafts shabby chic projects.